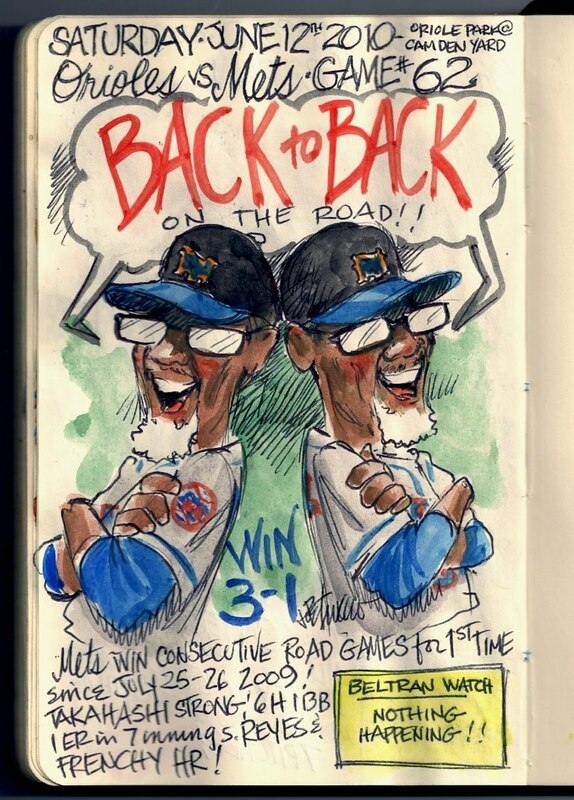 My Mets Journal: Pass 1st Road Test! 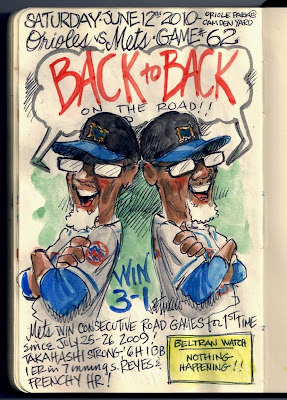 After the game, my first thought was, "Well, Joe won't want to draw Takahashi or Reyes, so it's gotta be Jerry tonight." Turns out, it's Jerry x2! You are correct Gio! Needed a Jerry after this one. Hey Joe, great work, I have a question. How long does it take you to do one of these sketches fully? Joe: It takes me about 25 minutes. If we get a sweep, can we get 3 Jerrys? Please? FROM EVERYWHERE! The sketch takes about 15-25 minutes . It's the thinking of what to do that takes the time.Sometimes more time than the drawing. Wow, well your 'thinking' is great. Some very creative and clever sketches if I may say so myself. And due to your consistency, If I miss a game I use your latest sketch to fill me in! Keep up the great work Joe!